SRI LANKA IS ONE OF THE TOP OVERSEAS WEDDING DESTINATIONS. GET SET FOR A TRADITIONAL SRI LANKAN WEDDING OR FOR A SIMPLE CEREMONY ON THE BEACH OR HILL COUNTRY LOCATIONS AMIDST THE TEA PLANTATION, BEACH, JUNGLE AND MANY MORE DIVERSE LOCATIONS ARE AVAILABLE. THE CHOICE IS YOURS TO CHOOSE...! Your wedding day is one of the most important days of your life. To make it a memorable occasion for both you and your guests, why not have the Wedding ceremony in a unique location in the very heart of nature in Sri Lanka? Picture making your vows standing on a temporary platform (made from all natural materials and decorated with beautiful flowers) suspended over the Belihuloya river, with the Bakers Falls waterfall serving as a backdrop. Or why not have an evening Wedding ceremony next to a reservoir, with the famous Sigiriya rock in the background. How about a waterfall as a backdrop? Candles and oil lamps can illuminate the area and a mouthwatering buffet can be served under the shelter of the nearby forest. Traditional touches of Sri Lanka such as the inclusion of local dancers, drummers, costumes and cuisine as well as the practice of local customs like cutting a ‘Kiri bath' in a ‘Kulla' (a milk rice alternative to the traditional wedding cake) will make the occasion a truly Sri Lankan experience! 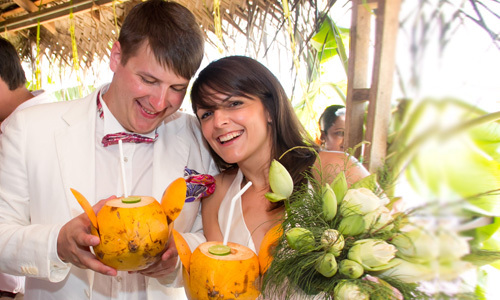 After the ceremony, we can arrange a whole honeymoon itinerary tailor-made to your exact requirements. The Registrar of Marriages will provide an official marriage certificate in the local Singhalese language. A certified duplicate copy in the English language is available and will cost US$60. The duplicate copy should take between 1 to 2 days to be prepared. Depending on weekends and religious holidays it may take up to a week and will be sent on to your Home Address by us if necessary. Foreign Ministry Certified Translations are also available. This will require the couple to visit the required Ministry in Colombo. Weddings will not be available on Poya Day and certain other Religious Holidays. Please Contact us for details. An affidavit confirming marital status of bride and groom prior to the wedding. Should be signed by a Solicitor with company stamp. What to wear? Choice is yours, but traditional Western wedding dresses are discouraged because of the hot climate in Sri Lanka. Western type weddings dresses are recommended in hill country locations. We suggest light silk dress. Saris can be bought in Sri Lanka. If you bring your own material you can get it tailor made by a local dress maker. Guest’s attire Full suite or Smart Casual. 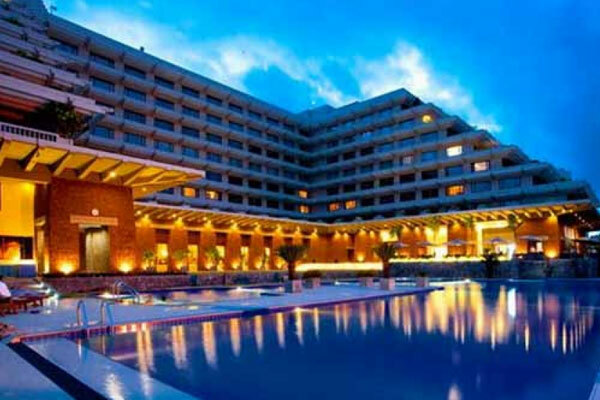 The Galle Face Hotel is located just close to the Galle Face Green. Established in the year 1864, the hotel is recognized as one of the finest creations in the Country during the Colonial Era. 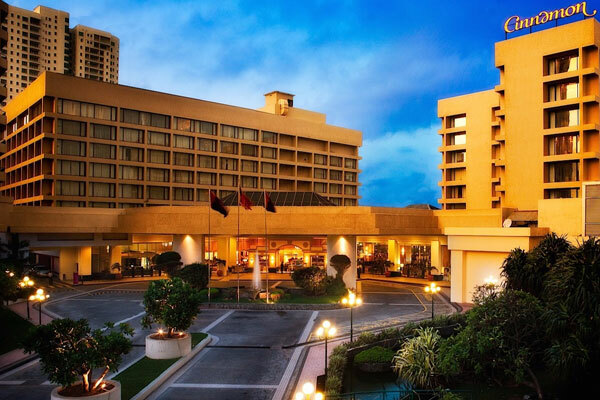 The prestigious hotel is recognized as one of the finest hotels in Asia. The hotel became the first hotel in the island to be featured on a postage stamp, along with three other iconic buildings in Colombo. 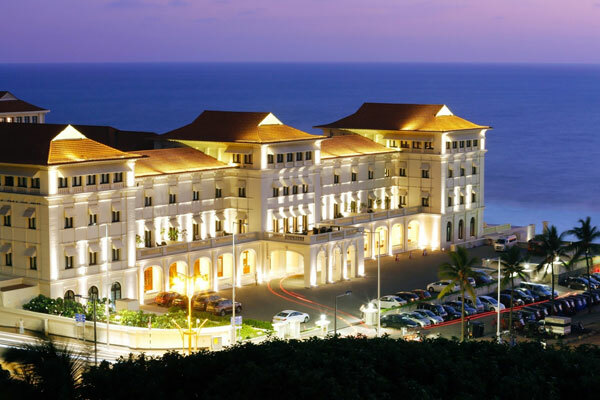 Due to its unrivalled location in the capital city of Colombo and on the edge of the Indian Ocean as well as at the foot of the Galle Face, The Galle Face Hotel is the most ideal place to make your wedding dreams come true in a grand style. Located in the Dry Zone of Sri Lanka’s North Central Province, Cinnamon Lodge Habarana is a perfect place to celebrate your wedding along with a touch of nature and fresh air. We bring the natural air of the forest, the lake and our ancient, inspired architecture for the perfect royal wedding with a local twist. Our royalty-inspired forest lodge offers the perfect ambience for fairytale weddings with a slightly different take on things. Surrounded by friends, family, delicate oil lamps and flourishing greenery, weddings at Cinnamon Lodge Habarana are a sight to behold. Sprawled over 27 acres of lush forested land, Cinnamon Lodge Habarana is an exclusive little hideaway for the entire family. Rooting over 1700 trees, time stands still enabling guests to experience serenity and tranquillity while walking along the paths. Heritance Ahungalle is in a small fishing town of Ahungalle and its neighbour Ambalangoda both boast idyllic palm-fringed fine golden sand beaches lapped by warm, aquamarine waters. Make your beach wedding dream come true on the golden sandy beaches of our romantic Ahungalla wedding hotel. Located on a prized expanse of sandy beach in Ahungalle, 76 Km from Sri Lanka's capital Colombo, the Heritance Ahungalle was Sri Lanka’s first ever 5-star beach resort. Its blissful privacy is provided by the thick coconut groves on two sides of the property and the watery depths of the Indian Ocean on the third. 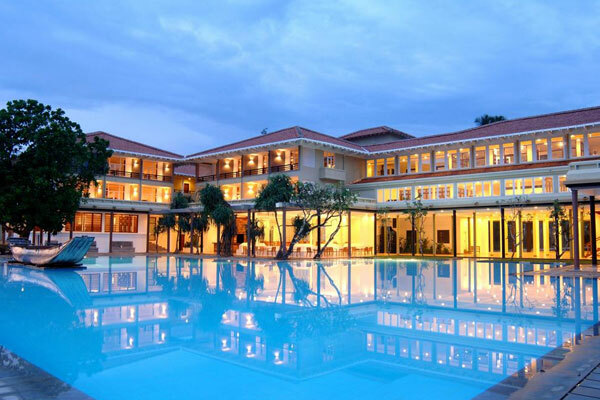 Heritance Ahungalle is in a small fishing town of Ahungalle and its neighbour Ambalangoda both boast idyllic palm-fringed fine golden sand beaches lapped by warm, aquamarine waters. An unforgettable celebration of love, we help you plan your special day right to the very last detail. We treat each wedding at Mahaweli Reach Hotel with individual care and can customise your event just the way you want it, be it at our stylish banquet hall or outdoors, right by a magical riverside setting. A popular choice for hosting a customary Kandy wedding, hotels such as ours offer the option of organising a traditional Sri Lankan ceremony inclusive of time-honoured rituals and unique decor. We can also organise destination weddings with Kandyan, Indian or Western style celebrations, each featuring its own distinct themes and catering options. 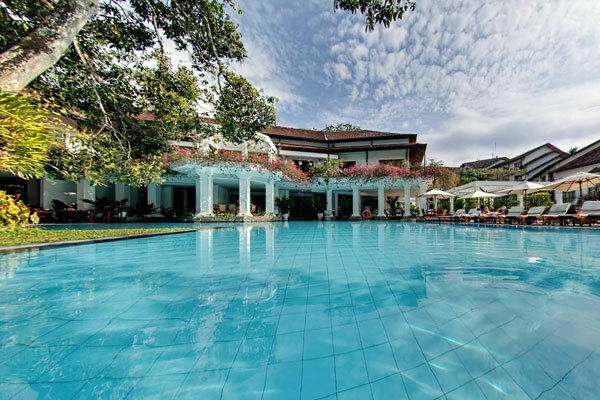 Surrounded by the mystique ancient kingdom of Kandy, island’s longest river & the wondrous mountain ranges, stands the palatial Mahaweli Reach Hotel. 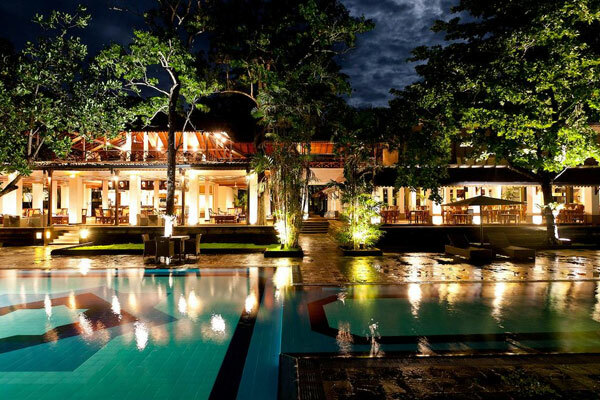 Mysteriously hidden behind the lush green tropical gardens on the plush banks of the Mahaweli river. When it comes to turning your dream wedding into your special day, Cinnamon Grand Colombo will make it happen. The prestigious hotel is the one place to meet all your wedding desires. From flowers to décor to a 101 cake desk, you can make all your important wedding plans with us. With a choice of four indoor and outdoor venues to choose from, the hotel offers the ultimate wedding destination for those looking to tie the knot. And if you’re looking for something a little more traditional, we can set up a Sri Lankan Poruwa Ceremony for you under our Nuga Tree in an intimate village-like setting. Other destination wedding experiences also include Mehendi Ceremonies, special destination cuisine and more. There isn’t a paradise full of options in any other hotel in Colombo to host your special day. Overlooking the tranquil Beira Lake, Cinnamon Lakeside Colombo is the epitome of indulgence and elegance. Sitting in the heart of Colombo, the hotel is nestled between a lake and the bustling city, creating the perfect, urban getaway. Beginning your life together in our paradise island means we bring a little bit of it into the heart of our hotel for you. Weddings are all about special moments and the setting here at Lakeside is the perfect way to go. Flawless logistics and an exotic atmosphere combine with many other wedding services to make us your one-stop destination to put your wedding together. 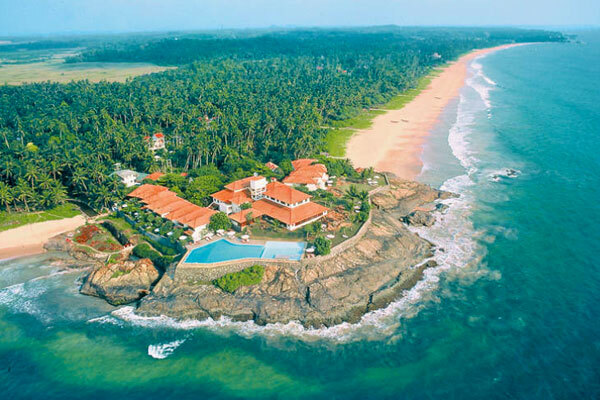 Saman Villas located in the fishing village of Aturuwella, near the south-west coastal town of Bentota. Saman Villas opened its doors on Christmas day in 1995 as the first boutique hotel in Sri Lanka. Located on a beautiful rocky promontory on the southern coast of Sri Lanka, Saman Villas is the perfect escape to rejuvenate your senses. With a verdant outcrop that lets you have the Indian Ocean to yourself, the Villa is undoubtedly one of the most enchanting hotels for weddings in Sri Lanka. Our intimate settings are isolated as they are inviting, and serve as a magical backdrop to celebrate your union of love with our tailor-made packages crafted with true island luxury.